Paul Kane teaches film studies, art and creative writing. 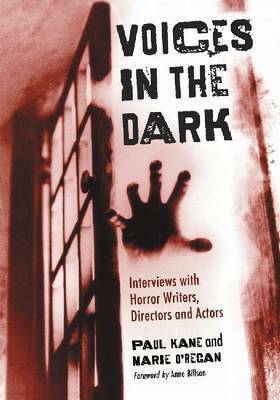 A British Fantasy Award-nominated author, he writes both fiction and nonfiction books, and is a contributor to such magazines as SFX, Fangoria and Rue Morgue. He lives in Chesterfield, Derbyshire, England. More about Kane and his writings can be found at www.shadow-writer.co.uk. Marie O'Regan is a British Fantasy Award-nominated author of horror and dark fantasy fiction.